Into the insightful mind of Jesse . . . Appearance: Average height and size. 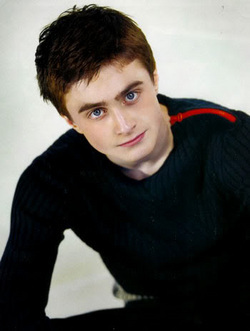 Dark brown, nicely groomed, short hair, blue eyes, and fair/slightly tanned skin. Clothing Style: Tasteful plain t-shirts, polo’s, or sweaters along with clean jeans or dressy slacks. Basically the same attire that the average 20 –going on 21- year old boy would wear. Family: Frank & Kathryn Hobbs … Later finds out that he is related to the Collins family in Collinwood and that he has two living relative left; a sister he never knew, Cecillia Collins and much later finds out about his father, Michael Collins. History: Jesse was born on July 23, 1949 to Michael and Lisa Collins: the two parents whom he would never know or meet (until 21 years later when he meets his father). Switched at birth, Jesse’s counterpart was sent home to the Collins’ and would later die in early infancy. Jesse, however, went into the loving home of Frank & Kathryn Hobbs, taking the name Jesse Patrick Hobbs. The Hobbs nor the Collins never knew of the switch, that is until Jesse underwent routine blood work with both of his parents, and discovered they were not a match. Surprised by this, Jesse began to trace back his roots with the help of anyone or anything which could provide assistance. After a few months of deep research, it was then that Jesse found out he was actually Jesse Collins, not Jesse Hobbs, and that his parents, as well as any other immediate blood relative, was dead or not on file, except for one: a sister, Cecillia Collins. The Hobbs, at first, couldn’t accept the truth as it was, denying the request to go and find his sister, perhaps even live a while at Collinwood for a while. But eventually, since they were so very fond of the son whom was never technically their son at all, they agreed, as it was the right thing to do, knowing that if Jesse had a sister out there somewhere, that she and he had every right to know each other. On his own and without any of the Collins family knowing of his existence, Jesse could only bring along what information he gathered in his research, his smile on his face, and the faith that everyone would believe the insane story which he was about to tell.